From peacekeeping to public events, life in the Guards is far from dull. "I wanted to lead Guardsmen in combat - they're fit, professional and determined to succeed." 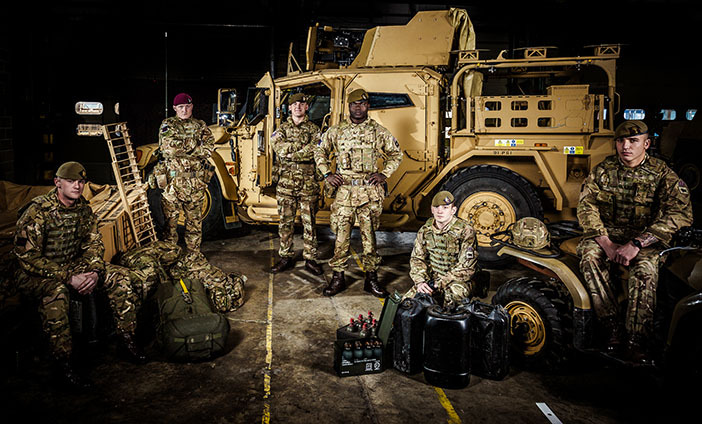 The British Army's Guards regiments are made up of fit and highly skilled infantry soldiers who carry out ceremonial duties alongside their combat role. As an officer in charge of a platoon you'll lead your soldiers on exercises and operations abroad, and take part in some of the country's best-known public events. Once you have passed the Army Officer Selection Board, you will begin 44 weeks of training at the Royal Military Academy Sandhurst. The training cover military, practical and academic subjects. While it is mentally ad physically demanding, there is plenty of time set aside for sport and adventurous training and leave. Once you have completed the Commissioning Course at Sandhurst, you will go on to the 16 week Infantry Platoon Commanders Battle Course in Brecon, Wales. This will give you the tactical skills you need to command your platoon on operations. QUALIFICATIONS: 72 UCAS points and 35 ALIS points at GCSE (including at least grade C/4 in English, Maths and a science or foreign language). You'll earn £26,504 during your year of training at the Royal Military Academy, Sandhurst, before commissioning and becoming a Second Lieutenant, on £31,857 a year. “In a Guards battalion, you are aware of the self-discipline of the Guardsmen and the experience of the Guards Non-Commissioned Officers. My job is to lead them which I have done in training, on operations and for a short period, on Trooping the Colour. The next step in my career is to train for the Guards Parachute Platoon."